We are so happy you found us! When comparing daycare and childcare centers, it is easy to see the many differences in our approach and dedication. With a unique mix of technology-filled classrooms, highly trained educational staff, and nationally accredited curriculum; what we can offer your child sets us apart from any preschool or daycare near you. Kids ‘R’ Kids of Johns Creek Parkway is a learning academy that will give your child the educational foundation they deserve! 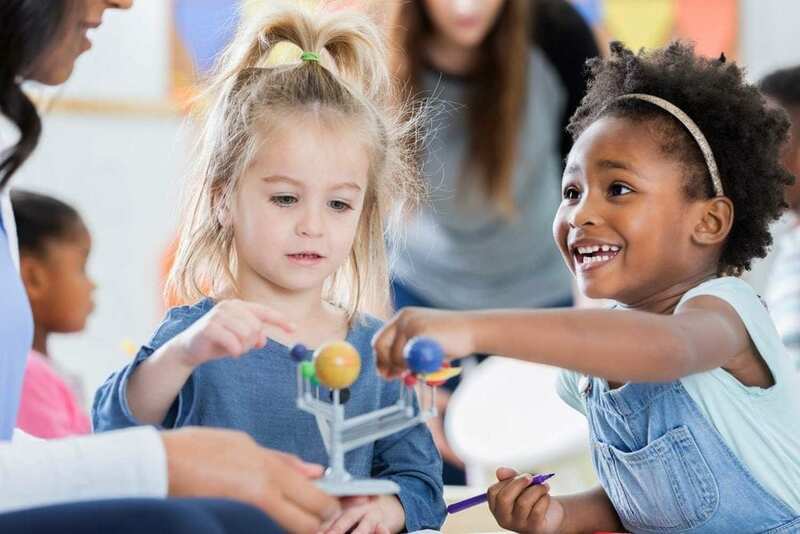 We offer programs for infants, toddlers, preschoolers, pre-K, and before/after school care, and summer camp to select schools in the Suwanee, Johns Creek, Duluth area. VIDEO: Hear What Our Parents Have To Say! Hear What Our Parents Have To Say! 1/9: Please come by for a tour! 2/9: Our playgrounds are age appropriate and provide lots of outdoor fun! 3/9: Our secure lobby is the heart of our school. We love to greet our families each day! 4/9: Our students enjoy out multi-purpose sport court! 5/9: The Kids ‘R’ Kids Staff is central to our success. Each member is carefully selected and extensively trained to provide the best in early childhood development and childcare. 7/9: The Kids 'R' Kids exclusive STEAM Ahead® Curriculum implements various activities to develop skills in science, technology, engineering, art and math. 8/9: Our Toddler Program encourages each child to practice skills and develop independence. 9/9: Our School Age Program provides an engaging and collaborative environment.